The Do Dham Yatra beings with commencing the journey at Gangotri and culminating the journey at Badrinath. Do Dham Yatra in the circuit of the Uttarakhand state of India much overcomes tourists en route for the Gangotri Badrinath Yatra. Do Dham Yatra is noticeable and memorable tour including with various Garhwal culture and colorful wildlife sight for satisfaction tourists. Chardham Tourism offering Do Dham Yatra Package cost from Haridwar, Do Dham Yatra from Delhi, 2 Dham Yatra by Helicopter, Do Dham Yatra by Car, Do Dham Yatra by Helicopter 2019, Do Dham Yatra by Helicopter from Dehradun, Do Dham Yatra from Dehradun and Do Dham Hindu spiritual spots tour India. The perfect time or peak season to go for a Char Dham Yatra is from May to October, except monsoons. 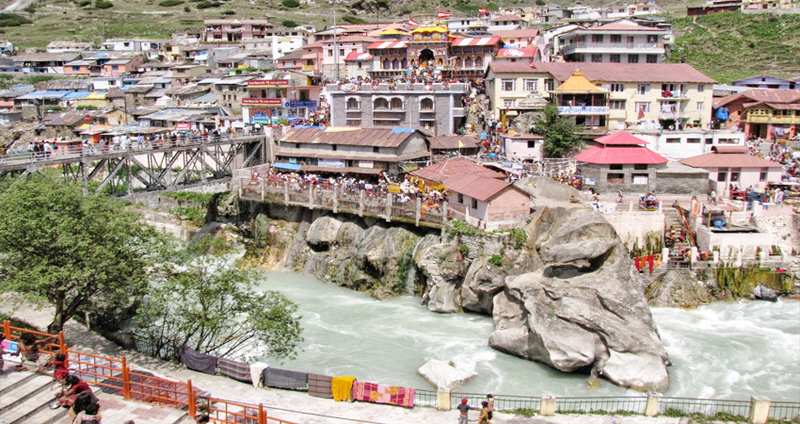 The gates for Char Dham Yatra open during Akshay Tritiya. The Gangotri is at an altitude of 3,200m, and Badrinath at a height of 3,133m. 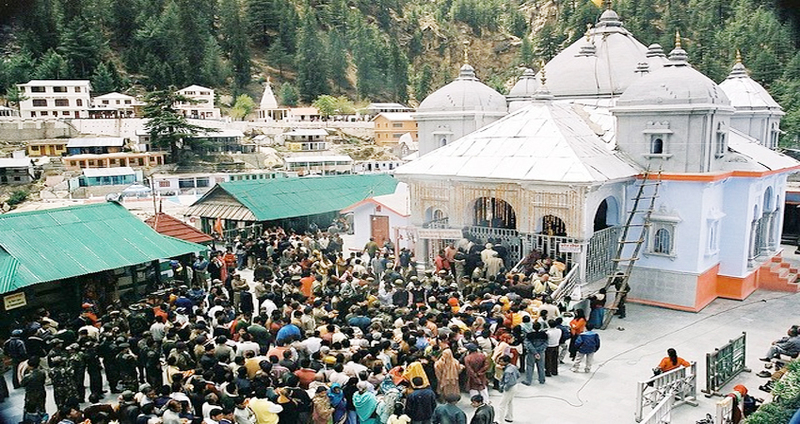 Gangotri : Gangotri, the second holy spot on the chardham Yatra is visited by 100 thousands of pilgrims once a year. The 18th century temple was billed by Gorkha General Amar Singh Thapa. There is countless tales attach to this sacred place like the temple is near the place where the goddess Ganga is said to have first come down on earth from heaven, in answer to the prayers of King Bhagriath. It is believed that Lord Shiva received Ganga into his locks to break the great force of her fall. 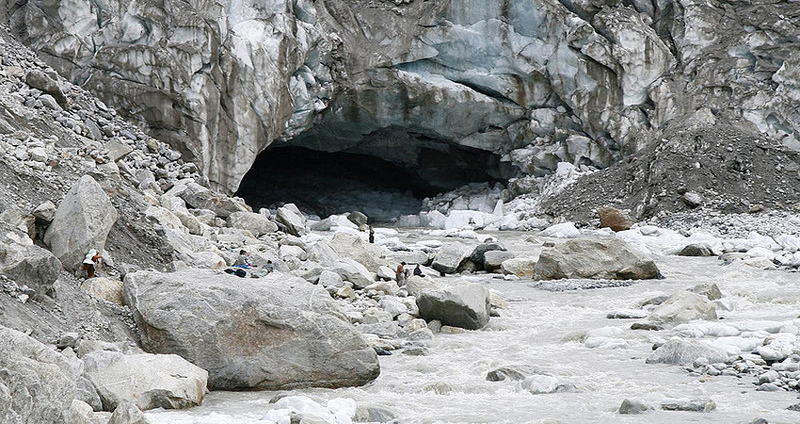 From there it emerged into lots of streams and the one which ongoing from Gangotri was called Bhagirathi. The Pandavas, it is said, came here to execute the great 'Deva Yajna' to atone for the death of their kinsmen in the epic battle of Mahabharata. 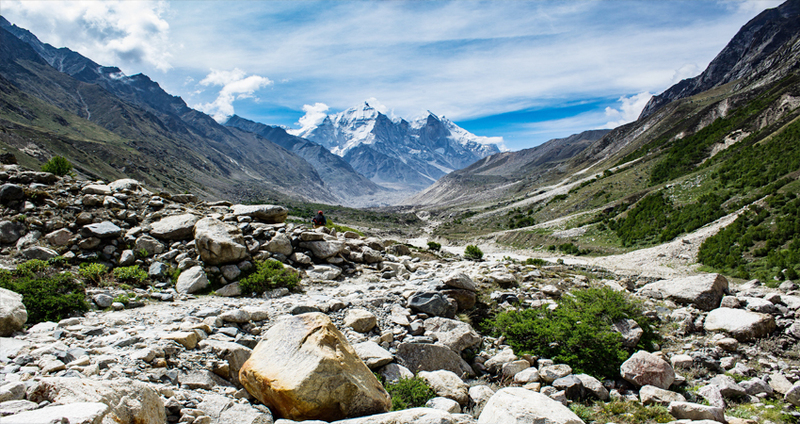 Other tourist attraction besides the temple is Goumukh located at a distance of 18 kms from Gangotri. 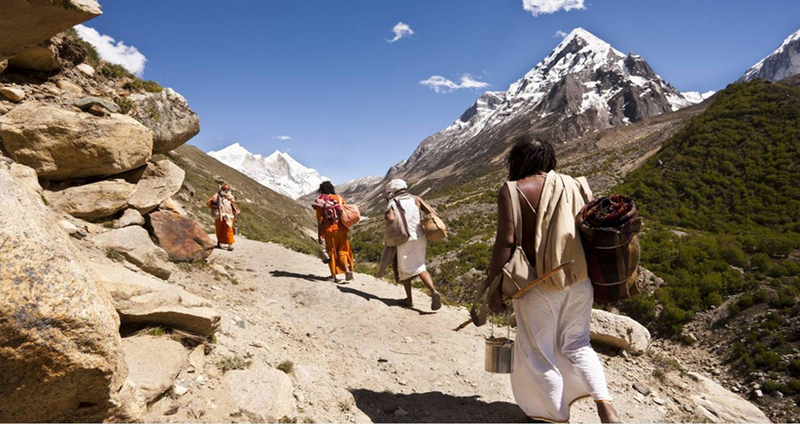 Pilgrims also trek to Nandanvan, Tapovan (6 km from Goumukh) and Kedartal (18 km) from Gangotri. 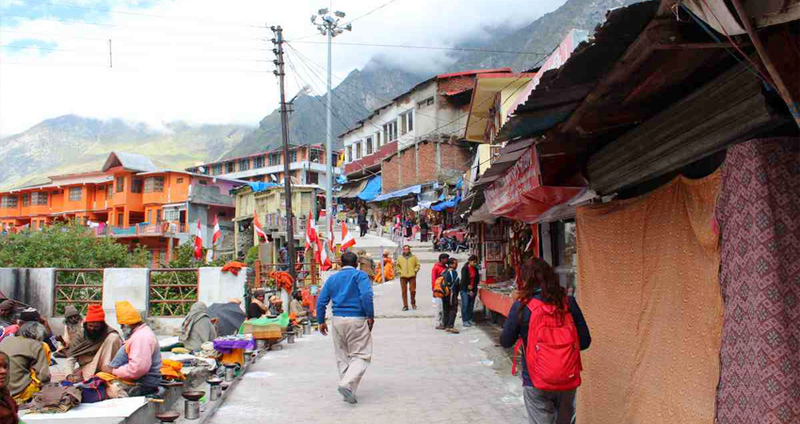 Badrinath : The holy place on this Yatra is Badrinath, one of the most respected Hindu shrines of India. 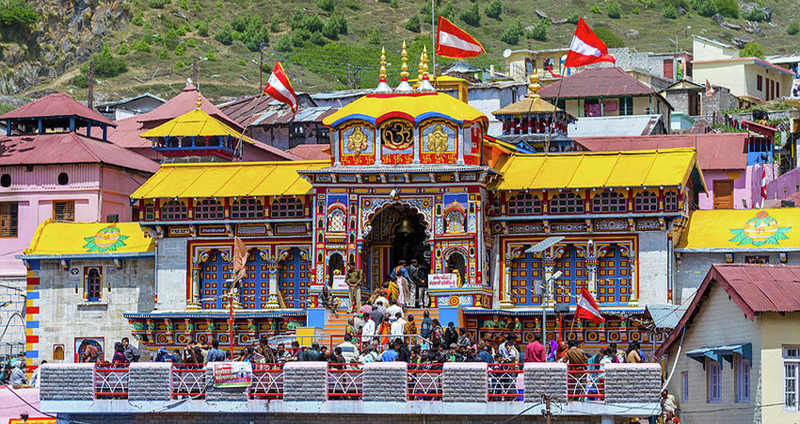 Surrounded by a good-looking valley, the Badrinath Temple is devoted to Lord Vishnu. May to October yearly the temple generally remains open. Build by Adi Guru Shankaracharya the philosopher-saint of the 8th century; the temple has been modernized several times because of damage by avalanches. Other attractions at this place are the Tapt Kund, where devotees take a holy dip in the natural thermal springs on the banks of the river Alaknanda, before entering the Sri Badrinathji Temple. The water of the Kund is believed to have medicinal properties. After Breakfast drive to Uttarkashi. After arrival Uttarkashi and check in Hotel, visit to Vishwanath Temple and night stay. We continue to Gangotri (3048 mts), on the way we get enjoyment from charming Harsil village, Bhagirathi River and the most wonderful sight of the Himalayas. After Gangotri Darshan we come back to Uttarkashi. Overnight stay at Uttarkashi hotel. In the early hours morning, drive to Rudraprayag on the way visit Tehri Dam. Check in Hotel, and night stay. Day : 5 Rudraprayag to Badrinath (165kms / 7hr). Drive to Badrinath via Joshimath. Check in Hotel. Afterward at evening time visit Badrinath Temple for Aarti. Overnight stay. Day : 6 Badrinath to Rudraprayag(165kms / 7hr). In the early hour's daybreak, pilgrims after having a bath in the Taptkund have the Darshan of Badrivishal. Brahamakamal is important for Pinddan Shraddh of ancestors. There are other attention-grabbing sightseeing places like Charanpaduka, Bhimkund, Maatamoorti, Mana, Vyas Gufa and the "Mukh" of the Saraswati River. Just within the 3 kms of Badrinath temple. Later drive back to Rudraprayag. Check in Hotel. Overnight stay at Rudraprayag. Day : 7 Rudraprayag to Haridwar (165kms / 7hr). In the early hours morning, visit Rudraprayag. Later, Drive back to Haridwar. Check in Hotel and stay. Day : 8 Haridwar to Delhi(250kms / 7hr). Daybreak, visit Haridwar Local Sightseeing. Afterward drive back to Delhi. On Arr. Delhi, transfer to Railway Station / Airport.